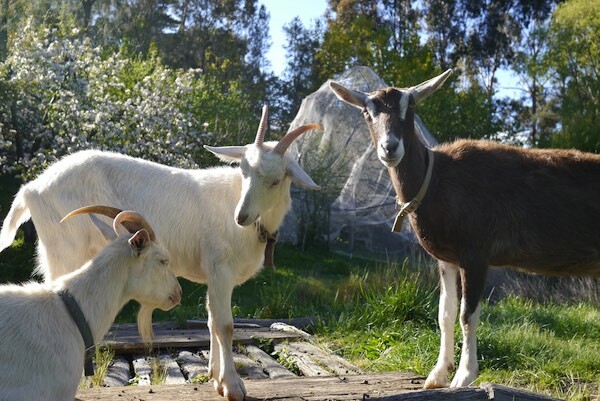 At Melliodora, the goat forage system is designed to support this permaculture smallholding in numerous ways, while closing the loop, keeping happy goats and making tasty cheese. Every morning, Pip and Willow make their way up to the milking shed in readiness for their morning milking. When it’s my turn to milk in the morning, they greet me with bleats and nuzzles. Chia, Willow’s 18 month old kid, frisks around and gets up to mischief (she’s not had a kid herself yet, so she’s not producing milk). Bett, the old girl, hobbles around and asks for scratches – she’s seen 18 years on this farm, so now she’s in charge of hanging out, sleeping, and munching. After getting each goat where they’re supposed to be (Pip’s tethered waiting to be milked, Willow’s in the milking stall, Chia’s on the other side of the gate) and giving them a bit of chaff, seaweed and such, it’s a quiet 20 minutes milking first Willow, then Pip. Afterwards, they’ll all go out to the paddock and sit in the morning sun, waiting to be taken out to the neighbours paddock, or down to the gully for the day. 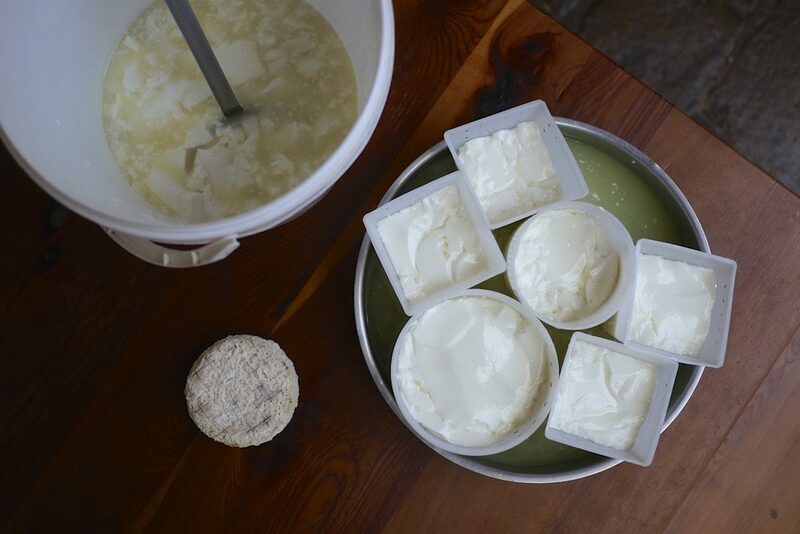 I take the sloshing milk pan down to our cottage and strain it into bottles to store in the cool cupboard, or place it straight in a bowl with kefir grains to start the chèvre cheesemaking process. The milk will go into our coffee, tea and on our porridge. 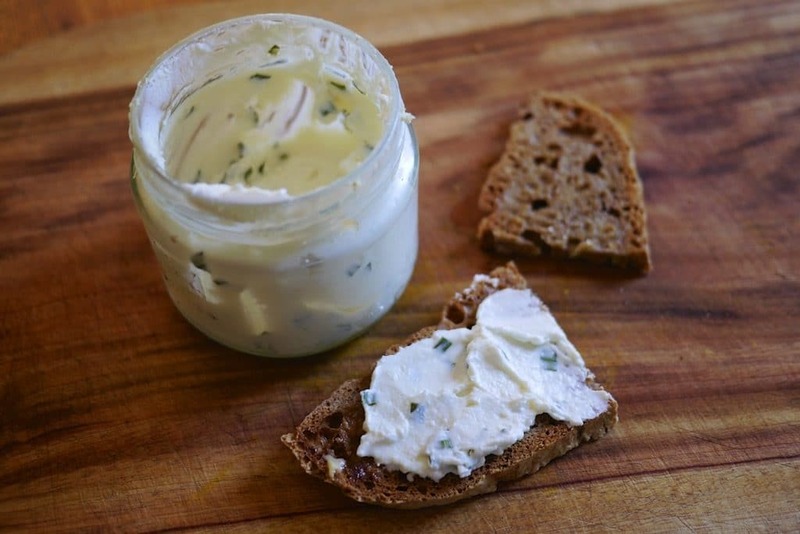 The completed chèvre will be mixed with herbs and spread thickly onto bread, added to soups and pasta, or possibly just eaten by the spoonful. All this goodness, every day, is possible largely as a result of a simple forage system that provides the goats with the food they need, while relying on only minimal off-farm inputs and producing other useful outputs that are used across the smallholding system in a range of ways. Goats are used all over the world as a great way to turn meagre and otherwise unusable resources into something wonderful. 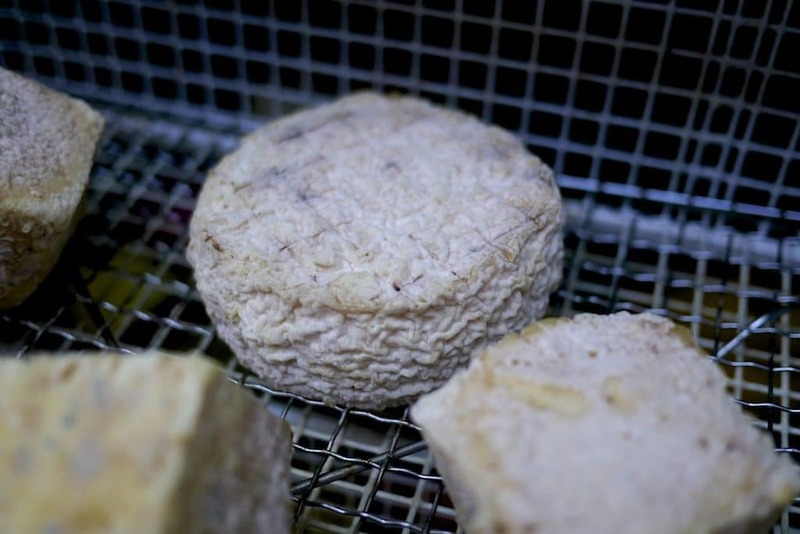 In essence, goats transform unpalatable woody and plant material into protein rich milk and cheese, as well as useful manure and occasionally, meat. This makes goats a great choice for a smallholding that’s on less-than-luxurious country, because you can plant a wide range of multi-use hardy perennial plants that they will munch for their lunch, allowing you to minimise feed costs, and easily keep them healthy with a range of feed options. Size – goats need significantly less space than cows per goat, and this affects all the big and little aspects of their keeping – the size of the milking yards and stalls, ease of animal care, amount of paddock space, fencing and housing, the amount of food they eat each day, and therefore all the associated costs. Diet – goats eat a wide range of fodder, much of it being plants that are multi-use trees, bark and weeds that are unpalatable to humans or other farm animals. This means that they’re utilizing parts of your system that wouldn’t otherwise get eaten or used in such a useful way. Goats ability to eat many things also makes them useful on a community scale as weed and fire control in your local public reserve, if you choose to graze them there periodically. Milk – goats milk is a creamy, natually homogenized liquid gold that can be turned into cheese, yogurt or simply used as milk. More easily absorbed than cows milk, goats milk is considered to ‘match up closer’ to the human body than cows milk, rarely causing lactose intolerance. 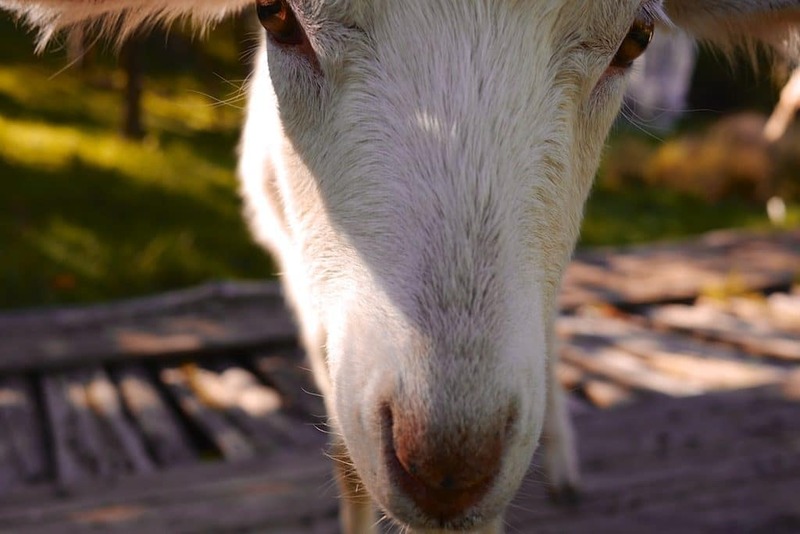 Goats give less milk than cows, but in a smallholding system this can be a good thing – they’re quicker to milk, and there’s rarely a massive excess that needs to be dealt with somehow. 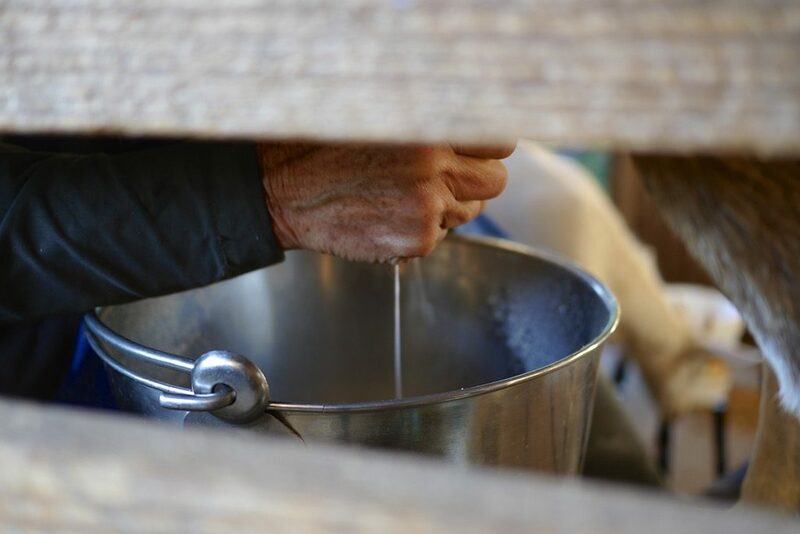 A note on the milk thing – many of us dream of having fresh milk everyday and can’t imagine having too much… but in a home system, if you’re milking a cow that’s giving 20 litres a day, that is a lot of milk to store, process or swap and share. And it all takes time. Every single day. We love fresh cows milk but having experienced both on a home scale where there’s lots to do each day and only so much fridge space, it’s something to consider. Goats need the same things that most farm animals need: shelter at night, room to range during the day, fresh food, clean water, protection from predators, and friends. Yes, goats need other goats. They’re a herd animal, and can become quite depressed on their own. While the ‘goats will eat anything’ saying might not be entirely correct, they will at least try to eat many different things. This can be great in different seasons when there’s different fodder available, and it can also sometimes be frustrating. Goats are also discerning (sometimes to a fault) – they will decide what they want to eat today based on their nutritional needs, and there’s no arguing with them. Today they might be interested in the willow tips and the grass, tomorrow they might only be into the apple branch prunings and the blackberries. 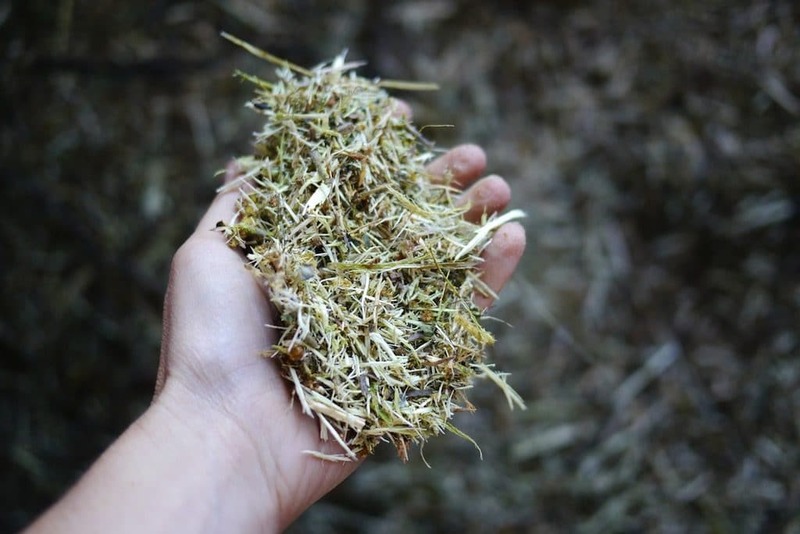 The forage system used to feed the goats at Melliodora is, like everything else in this system, multi-functional. 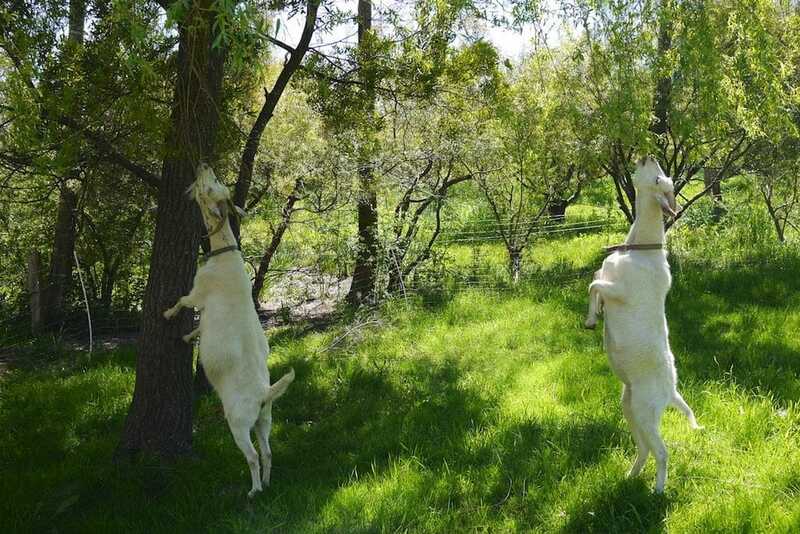 None of the fodder trees were planted specifically for the goats, but those trees were planted specifically because of their multi-functionality, which included their ability to be animal fodder. In the orchard: across Mellidora run lines of fruit and nut trees, interspersed with tagasaste and acacia. 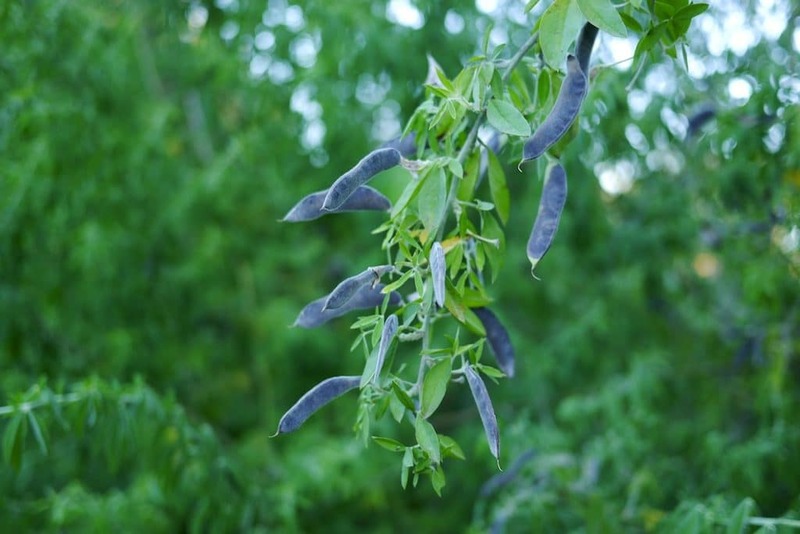 Both tagasaste and acacia are fast growing perennial nitrogen fixers, which help to improve the soil for the fruit trees and ground covers. The tags and acacias shelter the neighbouring fruit trees from cold spring winds, promoting both flowering and fruit set. They also provide pollination support, as both start flowering in early Spring, when the bees start buzzing and need food after the cold winter months. And this, in turn, improves the pollination of the fruit and nut trees during that same period. In addition, both tagasaste and acacias are excellent goat fodder trees. Up the other end of the orchard are oaks and poplars, which are also used periodically for goat fodder at certain times of the year. Above them are loquat trees, which the goats also love branches from. Along the road reserve: along the eastern edge of Melliodora runs a road reserve, which has been planted out with tagasaste, acacia, grevillia, hakea and banksia. Acting as an important shelter belt, privacy screen and frost barrier for the property, all these trees also make excellent goat fodder. Around the dams: on the upsides of each dam, weeping willows stand tall. 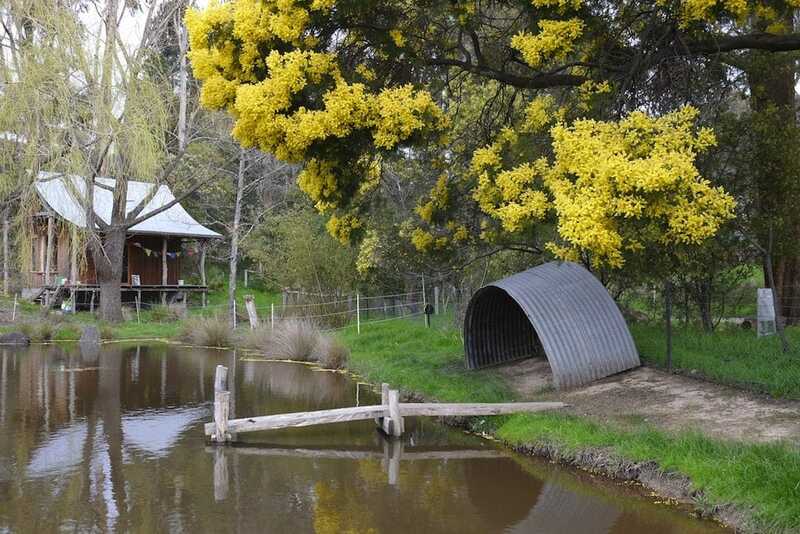 They provide valuable shade in Summer months for farm and native animals alike, fish and frog habitat within their roots, and are extremely palatable to the goats. 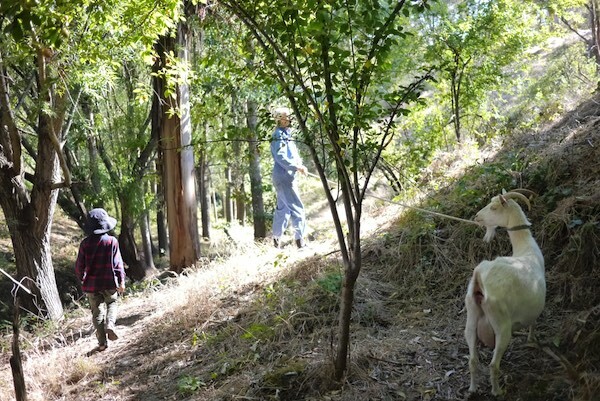 Down the gully: the goats are regularly walked down the gully that borders Melliodora to forage for the day, as well as into friend’s spare blocks up and down the stream. 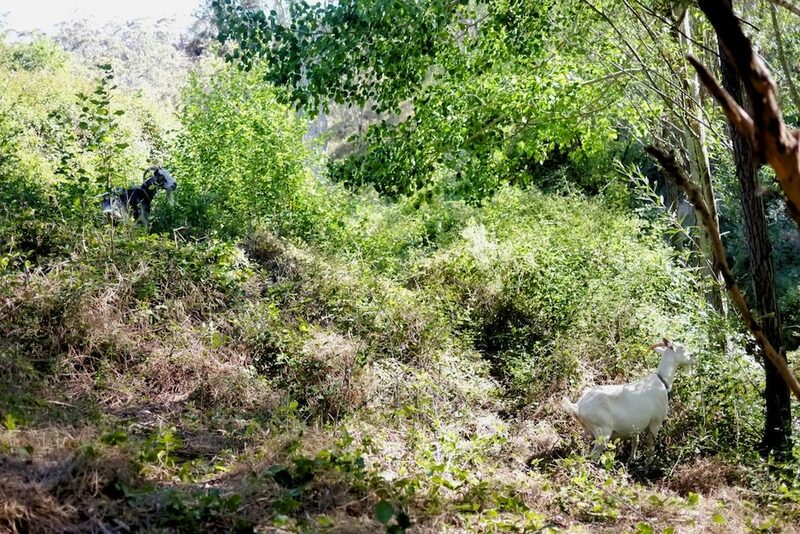 In the gully floor, the goats are tethered for the day and spend their time chomping on the blackberries, thistles, willows and other plants that grow over the warmer months. 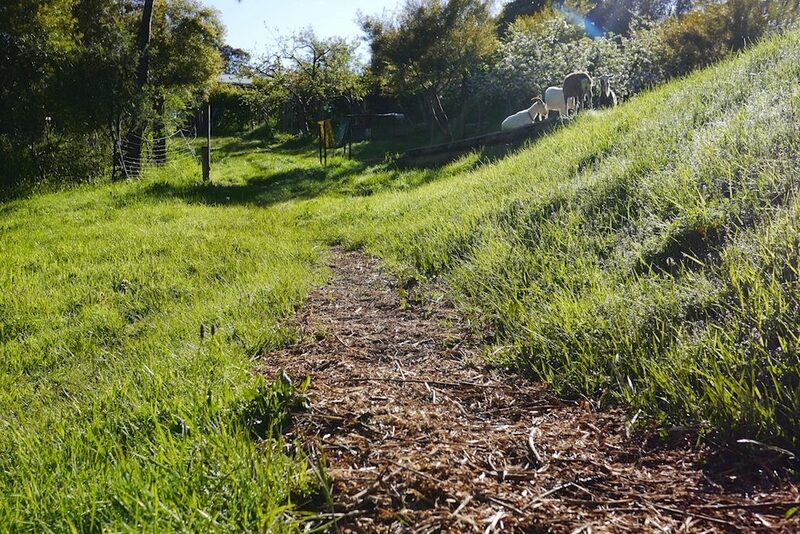 This provides diversity for the goats diet, and valuable weed and fire control for the community space of the gully streams. In terms of giving the goats access to all this good stuff around melliodora without letting them into sensitive patches that we don’t want eaten, fodder is harvested daily and brought to the goat’s main paddock, where they hang out in the early morning and evening. 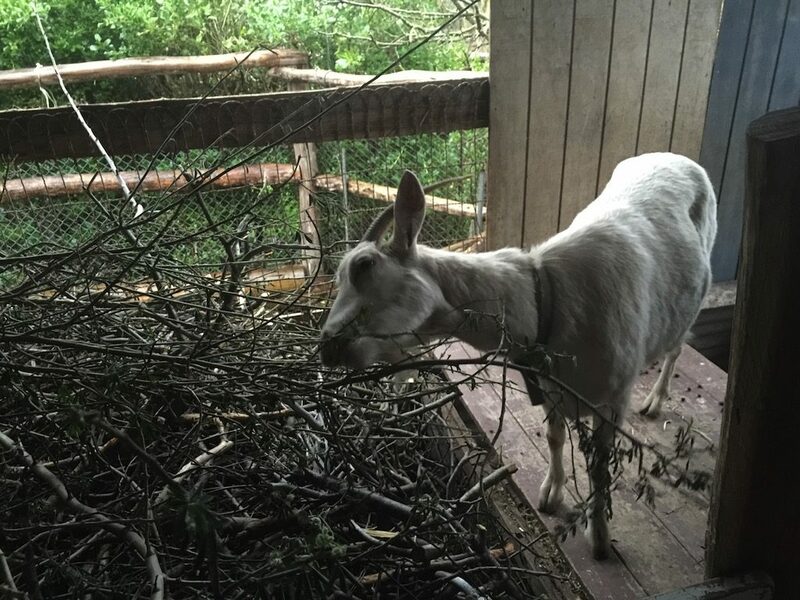 Goats don’t like to eat fallen branches off the ground – they’re quite fussy about it – and for good reason too. Not eating things on the ground limits their contact with their own (or other goats) manure, which in turn keeps them much healthier throughout life. Clever goats. 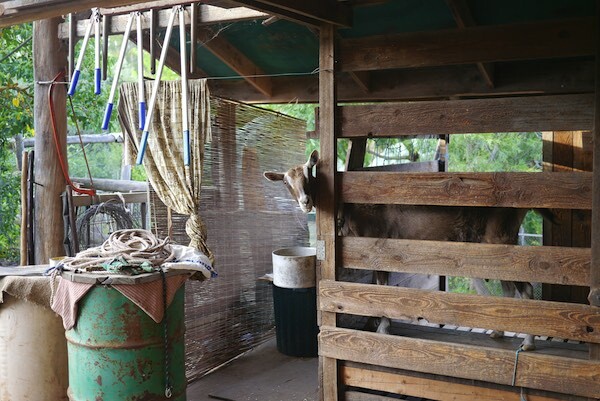 Therefore, there’s these ‘lunchboxes’ that David built – simple structures of star pickets and wire that allow the goats to eat their fodder up off the ground, and nibble it every which way. These are loaded up daily with a range of species. Other fodder is also hung off gates near the milking shed – wherever is up off the ground, within reach, and makes sense. Once the goats have nibbled all the leaves (and sometime the bark, too) off their fodder branches, we take out the bare branches, take them up to the milking shed and dump them in a space next to the chipper. Regular chipping is a big part of this fodder system, and an important aspect of the wider farm system, too. 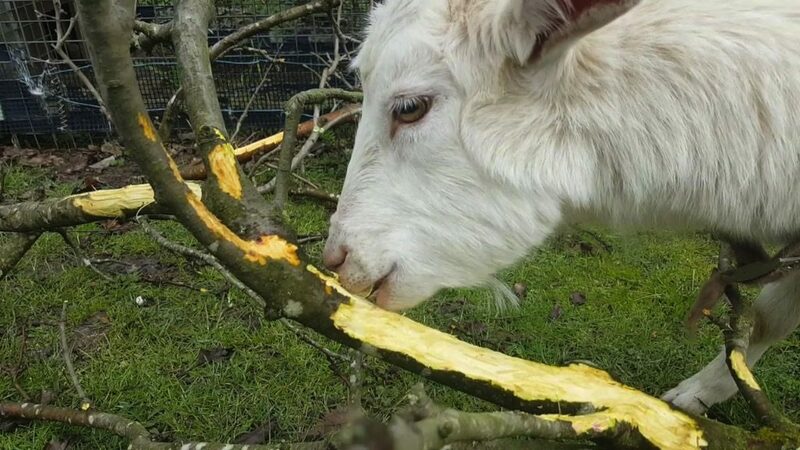 By chipping these goat-nibbled branches regularly, Melliodora creates a steady supply of fresh woodchip that’s got lots of diversity in it, which can then be used for all sorts of things around the farm in all four seasons. 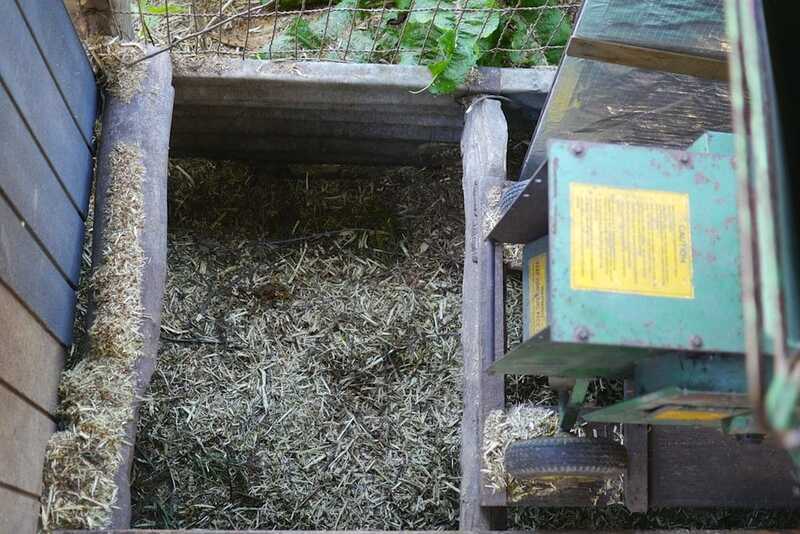 If you’ve ever lived on a small holding, you’ll know what I mean – having an endless supply of free, finely-smashed green woodchips is seriously exciting. 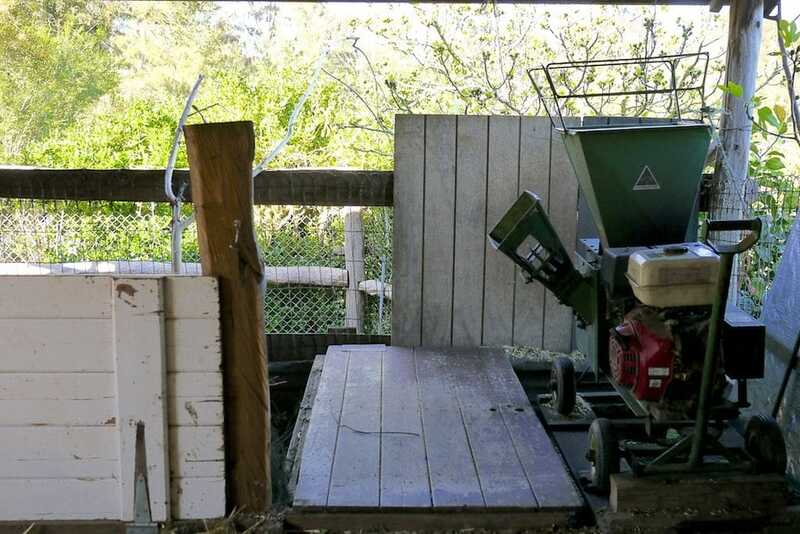 The woodchip is used for everything from the compost toilets to garden paths, mulching new perennial plantings, mushroom cultivation and compost making, to name just a few applications. And all these things would otherwise require external inputs to be brought in to perform these same tasks. This way, the loop is closed on-farm with a by-product of the goat keeping, and all for free. 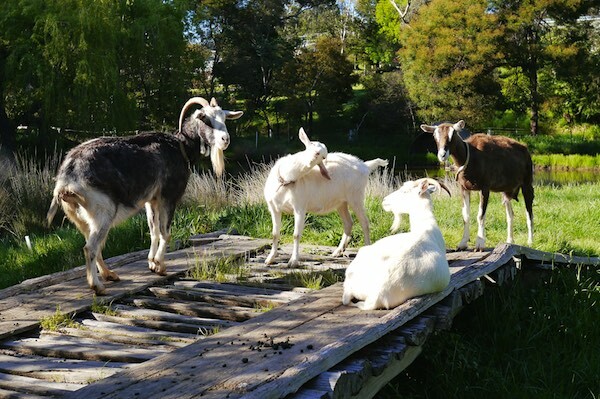 The rewards of this forage system are many – vastly reduced costs to keep the goats, healthy animals with a diverse and local diet, regular pruning and maintenance of the perennial plantings across the property, woodchip aplenty, manure, and also the daily milk and cheese. This is what good permaculture design can do – reduce on-farm costs, ensure healthy animals, regenerate landscapes, and produce CHEESE. Everyone wins. These species are palatable to cows and sheep also, though always do your research before feeding your animals something new. 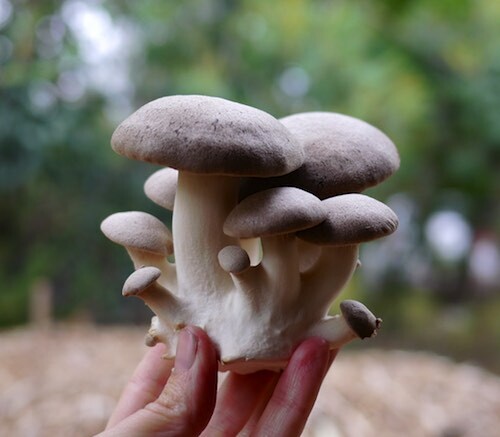 The full list of plantings, species + design of Melliodora can be found in the Melliodora Book on the Permaculture Principles website. Willow – salix spp – deciduous, leaves up to 13% protein, quick growing, coppices well + grows from cuttings. While technically a weed in Australia, this is one amazing tree. Grevillia, Banksia, Hakea and of course, Blackberry. Wild herbs: the goats love dock, cleavers, nettle, thistle, vetch, fat hen, three-cornered garlic, dead nettle and chickweed, to name but a few. Here’s a comprehensive list of both Australian native and introduced fodder species for goats. Natural Goat Care by Pat Colbey – a classic, full of good info. 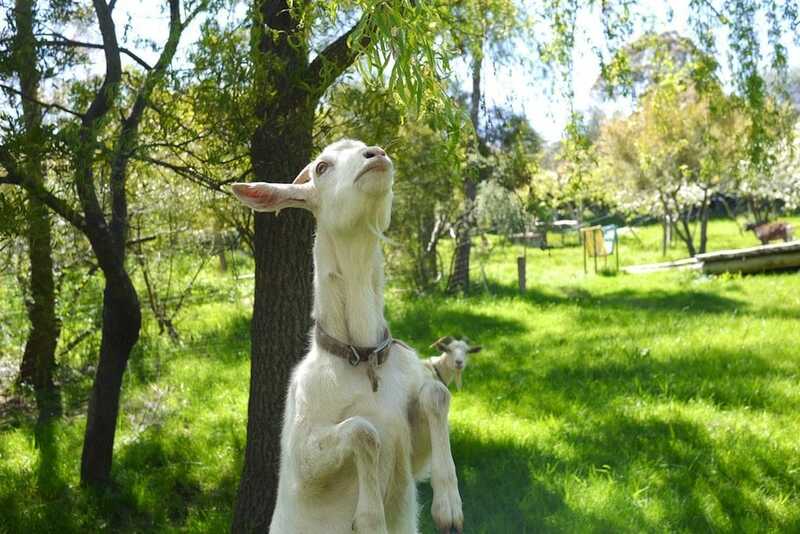 Australian Goat Notes – newsletter archives, lots of goodness. Want to learn how to design closed-loop systems? 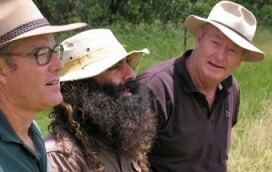 Our Autumn Permaculture Design Certificate is coming up soon. An immersive 2 week design intensive for creating resilient futures. With cheese aplenty. Sauerkraut has become a primary cog in the engine of our kitchen. . .
A delicious vegetable dip (with home made crackers) is a hard sna . .
Why was Joel Salatin so excited when we took him to visit Col Sei . .
Tagasaste (that’s tag-a-sas-te) also known as tree lucerne, is also reputed to be a useful fire break, because it doesn’t contain flammable resins. I remember reading a western Australian research paper on this but have forgotten the author’s name. We used to feed tagasaste to our goats for a sweeter, less ‘goaty’ milk. Wonderful post, full of culture making possibilities. Can I ask what breed of goat Melliodora has? Really interesting article! Pip the brown one is a toggenburg and Willow + chia are saanen goats. Bet the old girl is a bitzer. 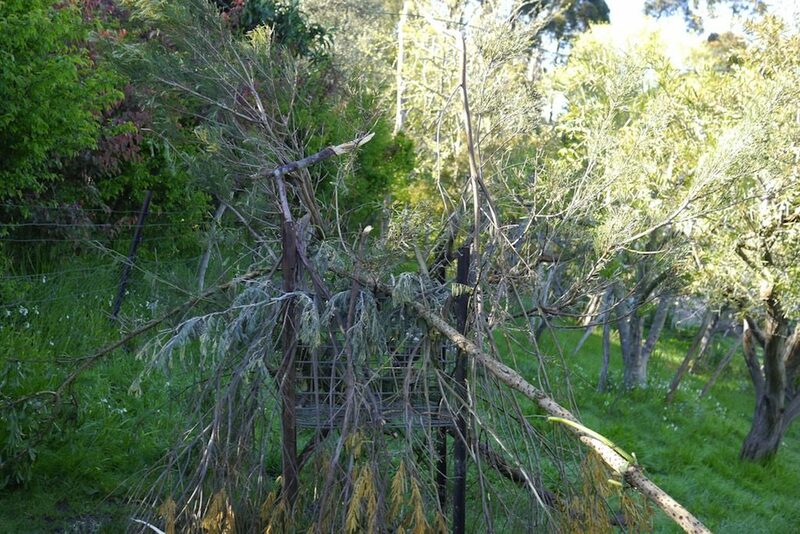 I am about to get a couple of goats on our property – wondered what fencing you use for their paddock – does electric work? Or is very high ringlock fencing necessary.? Also what sort of tethering system do you use to stop them wrapping themselves around trees etc.Thanks for great informative write up. 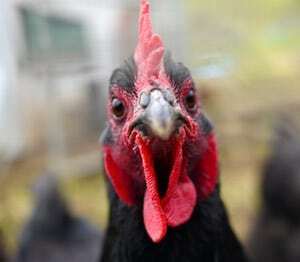 They are wonderful curious creatures.